We hear this question frequently from members and potential members, "Do you offer personal training?" 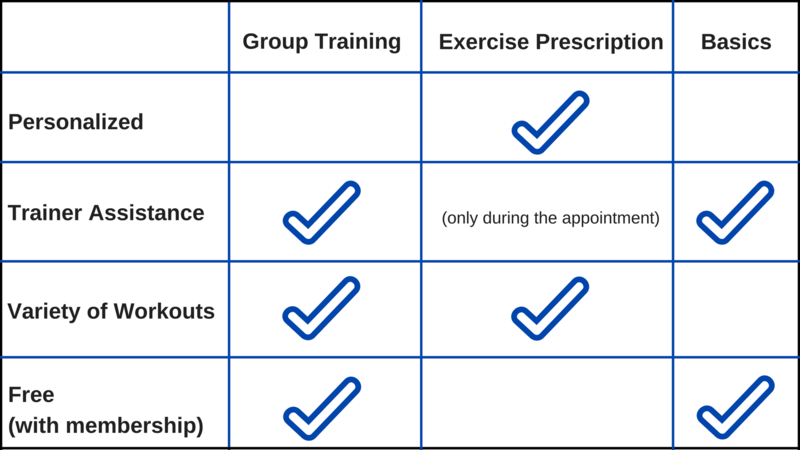 While we don't offer the traditional personal training experience where you work one-on-one with a trainer for X amount of sessions for X amount of money, we do offer similar options that we wanted to share with you. We talked with Lynne, one of our Health & Wellness Coaches, to get her top 3 recommendations for personal training at the DAHLC. Group Training - This is the best all-around offering we would recommend if you are looking for personal training. You will work with a Health & Wellness Coach for 6 sessions, the difference is it will be in a small group of about 4 people and it is free with membership. In these 6 sessions, you will get new workouts each week from the coach and will be asked to complete it at least one time on your own.